1950, Ralph W. Cooper amalgamated the Hamilton Tigers and the Hamilton Wildcats, forming the modern-day “Tiger-Cats”. 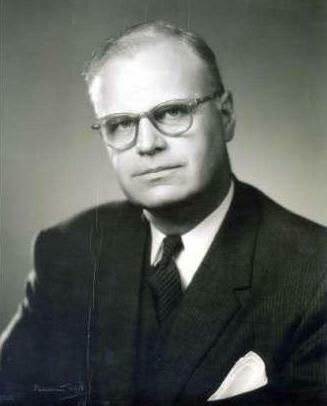 He was a member of the Tiger-Cats’ Board of Directors until 1972 and served on the club’s Board of Governors from 1973 to 1977. While with the interprovincial union, cooper was a member of the committee responsible for recommending a draft system for university players. During the 1950’s competition for players was fierce between the Canadian and American professional leagues. In 1955, Cooper headed a five-man delegation which negotiated with the National Football League, and the resulting agreement eased tensions considerably. In 1960, Ralph W. Cooper, Frank Gibson, and Ralph Parliament devised an interlocking schedule which was implemented for the 1961 season. This marked the first time that Western and Eastern teams had competed during scheduled, regular season play.